Happy National Volunteer Week! As you are deep in the midst of celebrating your volunteers’ service, put aside a few moments to reflect on all that you do to forge the path leading volunteers to connect with meaningful, impacting work. Take a deep breath and as you exhale, let go of all the stress from trying to make sure everything is perfect. Perfection is not the goal. Understand that your volunteers already know how much you admire, respect and yes, love them; that you don’t have to prove it. It’s the things you do all year that count. Cherish these moments for they will sustain you when things get rough. They will fill you with the glow of accomplishment throughout your life. Realize that when others are counting their coins, or their followers or their possessions, you are counting your moments of pure joy. You are living a life that matters. Revel in the nature of your contributions to our communities. Take a second and look around, for the world is better because you have decided to help it become so. Inspire yourself with the same words you use to inspire volunteers. Turn each phrase over in your mind and know that it applies to you. Take care of yourself. You are the greatest tool in your toolbox. Sharpen yourself. Put yourself away at night. Don’t wear yourself out. 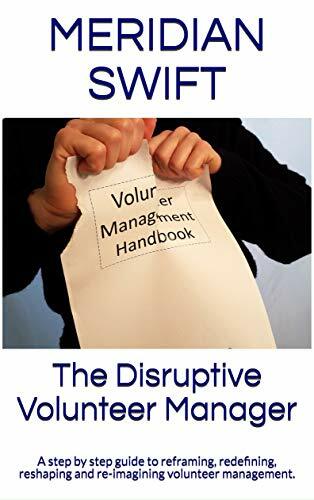 Connect with other volunteer managers. Talk to the people who understand. Help one another. Together, we can grow and strengthen volunteers, volunteer services, and volunteer engagement. Elevate your position in your own mind. You are a change agent, a pioneer, a difference maker. Let the small stuff be still for a moment and let the minutia drain away. Do you feel it? That’s the world around you basking in your positive energy. Take care of yourself. You are needed. Your volunteers need you. Other volunteer managers need you and the world needs you. Celebrate service and take care. Love love love this post and it’s so very true. We need to love our contributions and the fact that we are catalysts [through involving volunteers] in making lives better for individuals and communities. Staying connected is so important as sometimes managing volunteers in a sea of hazards such as lack of support, lack of management appreciating your lovely volunteers, lack of understanding that volunteers don’t grow on trees [!] etc can be very isolating and it’s good to know that you are not alone in your campaign to make sure volunteers have the best possible experience. 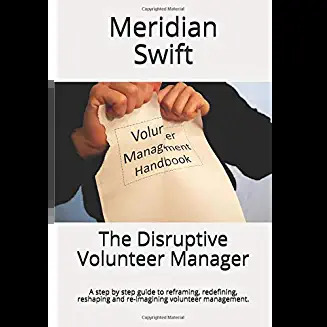 Thanks Eileen, and thank goodness for the community of volunteer managers who support one another, share ideas, and are using their voices to lift up not only volunteers and volunteer services, but each other as well. We are a growing field and thankfully, one that is populated by very dedicated and passionate people who are finding one another and creating a community of strength.You are one of those amazing people!